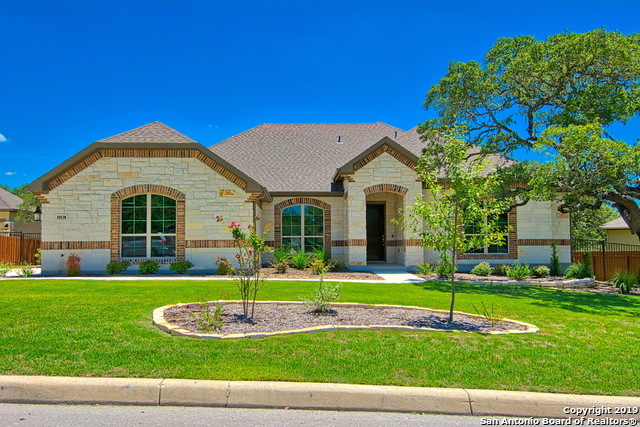 All BALCONES CREEK ESTATES homes currently listed for sale in Boerne as of 04/26/2019 are shown below. You can change the search criteria at any time by pressing the 'Change Search' button below. "BEAUTIFUL SITTERLE LUXURY HOME LOCATED ON AMAZING MATURE TREE LOT AT EDGE OF TEXAS HILL COUNTRY. THIS HOME HAS TEXAS ROCK WITH SIDE ENTRY GARAGE. INTERIOR EXUDES WARMTH AND COMFORT WITH HIGH CEILING, OPEN FLOOR PLAN WITH SEPERATE DINING ROOM AND LARGE GRANITE ISLAND LARGE ENOUGH FOR EAT-IN KITCHEN. MASTER BATH HAS 2 OVERSIZED CLOSETS. BACK OF HOME HAS LARGE WINDOWS TO BRING IN THE AMBIANCE OF THE WOODED BACKYARD. FULLY LANDSCAPED WITH SECURITY SYSTEM. THIS HOME SITS ON .53 ACRE CUL-DE-SAC LOT."